BrightEdge turns your website into an efficient engine that promotes thought leadership, boosts brand affinity and generates more leads. 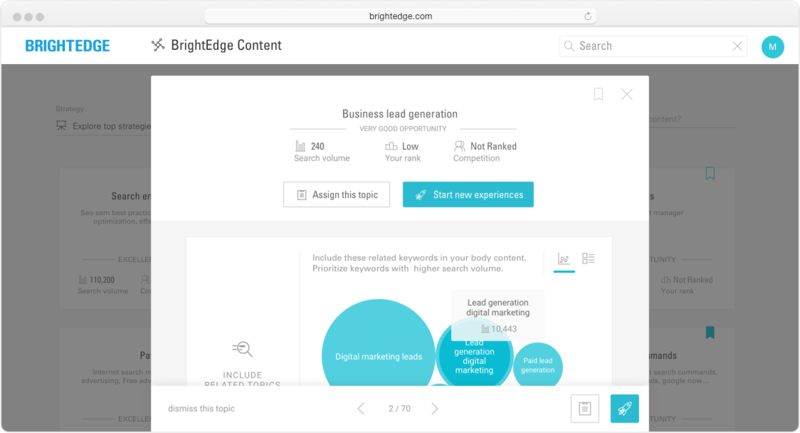 BrightEdge enables B2B marketers to launch and scale demand generation marketing campaigns, turning your website into an efficient engine that promotes thought leadership, boosts brand affinity and generates more leads. Achieve your demand generation goals more efficiently by prioritizing your work with real time content performance data. 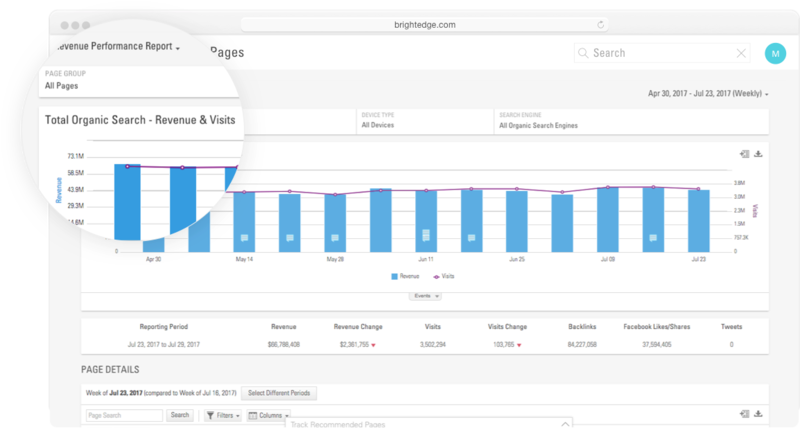 Gain comprehensive insights of content distribution, discoverability, conversion and social sharing all within one central hub with Page Reporting. Maximize marketing ROI by investing in a well-balanced digital marketing mix with insights from Intent Signal. Demand the most results out of your digital content. Shine a light on the hardest working content, and identify its winning formula to replicate success with Page Reporting. 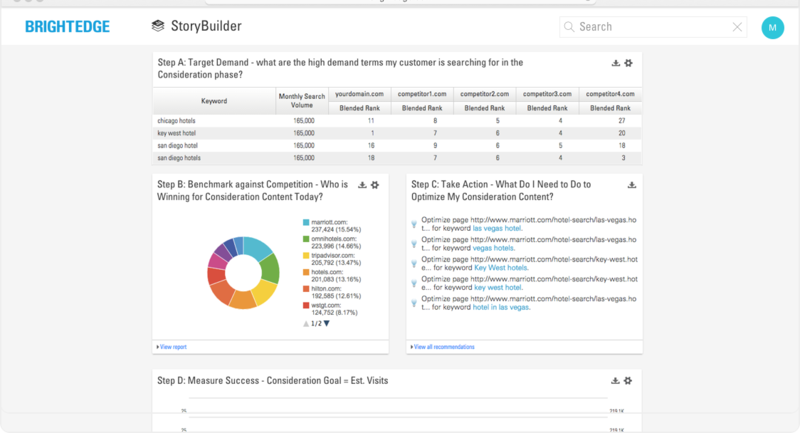 Test and iterate content strategies that will best resonate with your target buyer personas with Buyer’s Journey dashboard and more. New content creation with no sweat with BrightEdge Content. Easily build, launch and optimize campaigns with easy-to-use landing page editors that comply with SEO best practices. Streamline campaign creation with templates, forms, and CTAs – all accessible within the same interface. Boost campaign conversion rates with advanced targeting by CTA blocks, persona, keyword, geo and device. Measure campaign portfolio ROI with conversion metrics across multiple campaigns. Review how site visits and conversions has trended over time across campaigns. 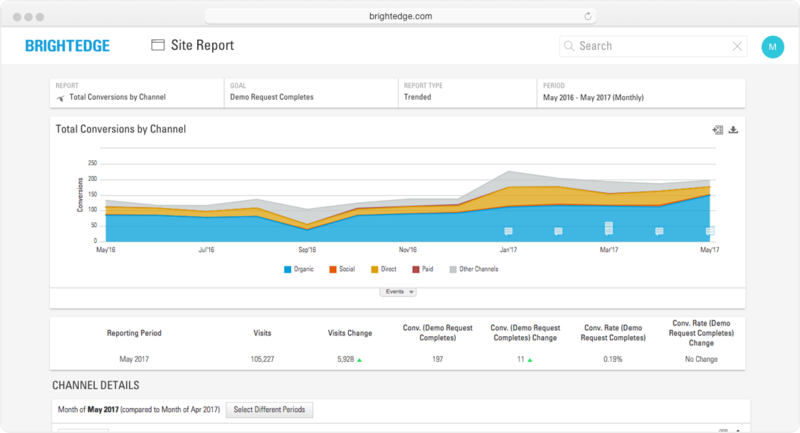 Measure channel effectiveness with campaign performance across organic, paid, social and other channels with Site Report.